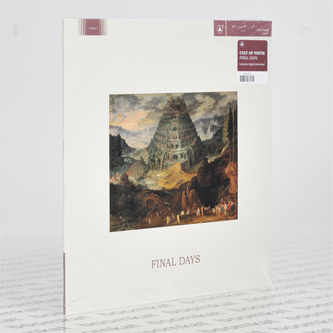 "For their third full-length for Sacred Bones, Cult of Youth have delved deeper into their style of punk-influenced psychedelic neofolk and created a self-described “post-industrial Pet Sounds.” Using acoustic and electronic instruments, found sounds and an extensive tribal rhythm section, Cult of Youth have put it all out on the table and left us with their magnum opus. The band has returned with a renewed sense of enthusiasm and an all-new lineup. Sean Ragon, once the project’s lone member, is now flanked by Jasper McGandy on bass and Christian Kount on electric guitar (both of whom were members of seminal Sacred Bones band The Hunt). Cory Flannigan on drums and Paige Flash on cello complete the five-piece. The end result is Cult of Youth as they were always meant to sound. 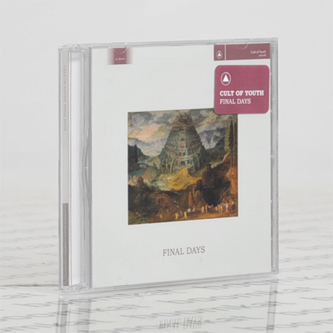 The contributions of the new members are evident on every track on Final Days, from the anthemic “Empty Faction” to the gorgeous album closer “Roses.” Final Days is the culmination of everything Cult of Youth has been moving towards the past seven years — post-industrial, post-punk, and post-enlightenment."